For any business whether small or large, online site presence has become the need of the hour. And thus to gain superiority in the online business world, deployment of Offshore PHP development has become a significant factor for businesses. Today you can find a number of web applications that provides incomparable solutions for targeting the market. But among all, PHP also known as Hypertext Preprocessor has stood as a strong contender in todayâs highly competitive market. 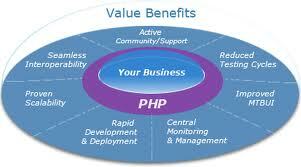 What Makes PHP a preferred choice for Web Development? Cost-Effectiveness: Since PHP is an open source scripting language, it do not require any licenses or keys and is available free of cost, as a result of which it could be downloaded and used by anyone, which makes PHP a cost-effective technology. Provide Cutting-edge Solutions: Since PHP is an open source technology; it is being constantly updated with new developments, thereby allowing the developers and programmers to offer cutting-edge web development solutions as per the ongoing market trends. Supports Multiple Technologies: It supports multiple technologies such as Linux, MySQL etc. 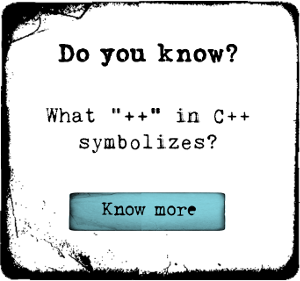 and also supports multiple languages such as C, C++, Java and many others. SEO Friendly Websites: Websites developed using PHP, are search engine optimized than any other languages. It is an evident fact that almost all businesses and organizations look for ways to minimize their overhead operating cost and to maximize their reach to a much wider market segment. PHP is a cost-effective technology, but offshore PHP development has emerged out to be the most cost-effective methodology among clients located in offshore locations, looking forward to acquiring quality web development services. Reduces Overall Expenditure: To work on development solutions companies need to have a proper development environment wherein the development team can work to meet the project requirements. Companies have to bear the overall development cost that is incurred for the in-house development centre. Thatâs not the end of it! Companies also have to bear the maintenance cost in order to maintain good development environment. But with help of offshore development services companies can minimize their overall expenditure. This is because there is no need to hire an in-house development team and maintain a development centre to get the work done. Saves Time and Resources: By taking someone else to take care of your project requirements, you can save a lot of your time and resources that you can utilize in enhancing your business. Ask yourself! Letting someone else perform your work, allows you to manage your business more effectively, rather than wasting your time on thinking and spending money on putting up a team and developing an in-house centre. 24/7 Development: One of the main benefits of selecting PHP Developers For Hire gives you the advantage of recruiting a development team that works round the clock, thereby helping you get quick solutions for your web development project. And quicker and quality solutions means high return of interest. After going through the aforementioned reasons, there is no denying the fact that Outsourcing PHP development services proffers great benefits. However, what is important for clients is to choose the right development company to reap the benefits of that Offshore PHP Development offers. Thus, make sure to conduct proper analysis of the company that you are about to hire for getting your web development project done.